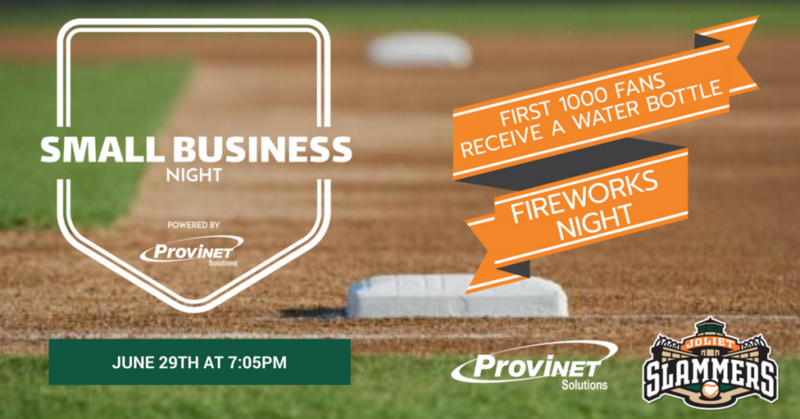 Attention all Small Businesses, make sure to join us on June 29th as the Joliet Slammers battle the Lake Erie Crushers for Small Business Night powered by ProviNET Solutions. Please bring your staff and family along for a great evening of baseball! Fill out the form below to request FREE tickets to the game! Please note ticket requests will be distributed based on quantity.